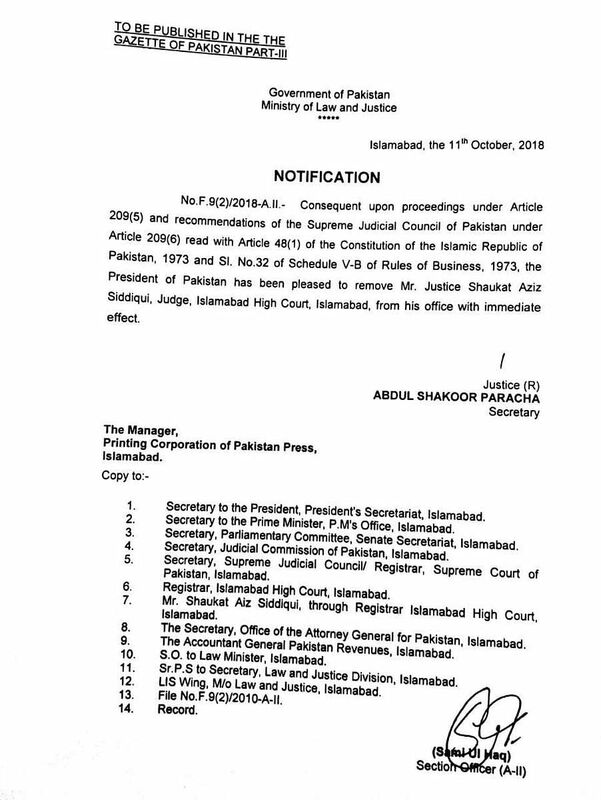 A notification issued by the Ministry of Law and Justice said the country's president had removed Shaukat Aziz Siddiqui from his office with immediate effect. 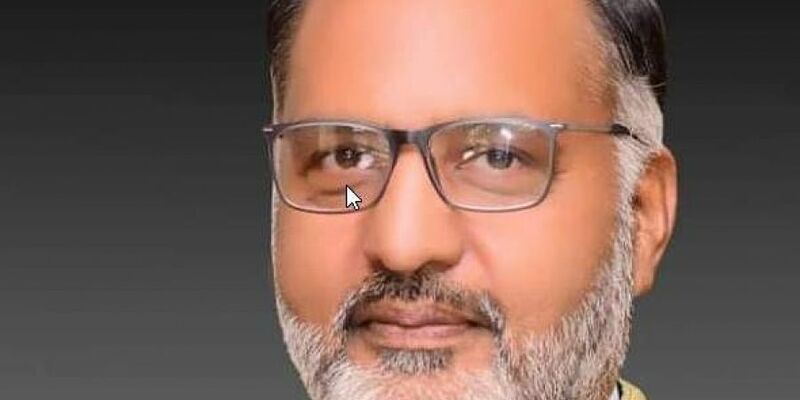 ISLAMABAD: A Pakistani high court judge who publicly accused the country's powerful intelligence service of manipulating judicial decisions to influence the last general election was removed from his post Thursday. The role of the military and Inter-Services Intelligence (ISI) in politics is rarely discussed openly in Pakistan due to fear of repercussions. But in a public speech delivered days before the July elections, Siddiqui had accused the ISI of being "fully involved in manipulating judicial process", including the selection of judges, and conspiring to keep ousted former prime minister Nawaz Sharif behind bars during the polls. In his speech to lawyers in Rawalpindi, Siddiqui said the spy agency was "involved in corrupt practices including providing aid in the commission of offences and receiving their share from crime money". He added: "People from ISI approached my boss and said 'We do not want to let Nawaz Sharif and his daughter come out [of the prison] until elections'". Siddiqui had urged the military's top brass to rein in the intelligences service to protect both its reputation and that of the country at large. The military asked the supreme court to probe Siddiqui's allegations. On Thursday, the Supreme Judicial Council -- the country's top body of judges -- said Siddiqui had "displayed conduct unbecoming of a judge of a High Court and was thus guilty of misconduct". Also in July, Siddiqui had chided ISI and the police over alleged abductions. Rights defenders have long accused the ISI of kidnapping and torturing rights activists, journalists and dissenting voices. In recent years, a growing number of abductions have taken place brazenly in major cities such as Karachi, Lahore and even the capital Islamabad. "I am constrained to observe that local police is in league with the mighty agencies who have disrupted the civic fibre of the country," Siddiqui said in a written order concerning a petition about enforced disappearances. The military routinely denies being involved.